Referrals to Castel Froma Neuro Care are free of charge and obligation. We welcome referrals for individuals with brain injury or neurological conditions aged 18 and over from commissioners such as continuing healthcare and social services, as well as referrals from GPs, Community and District Nurses and Consultants. All individuals require an assessment prior to admission to ensure the centre is able to meet their needs. When contacting Castel Froma Neuro Care to refer a patient, please provide information about the urgency of the referral. Less urgent referrals will be reviewed daily by our team, for urgent cases, we will arrange a suitable time for assessment as soon as possible. We provide respite care to patients on referral of a medical professional to ensure patients have a restful experience in a nurturing and comfortable environment. 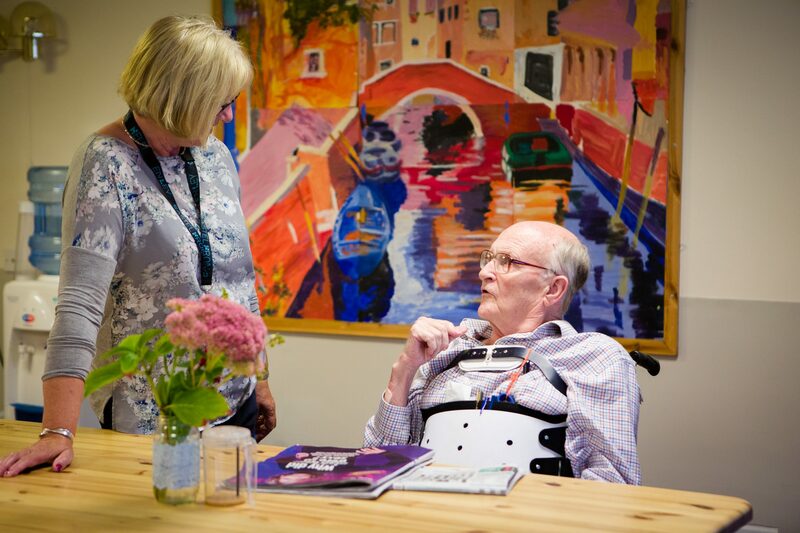 Our expert therapy team work closely with our nursing and care specialists to enable residents to re-learn skills and to live as full a life as possible.